Clean-Up Sites: Inner Harbor, Shore Road Sanctuary, Sagamore Hill Beach, CSH Laboratory Beach and any other town or club beach that you have access to on CSH (not limited to: Laurel Hollow, Eagle Dock, Cold Spring Harbor Beach Club, West Neck & Lloyd Neck Beaches and the Lloyd Harbor Bath Club). At St. John's we strongly believe that Cold Spring Harbor supports and improves our lives. However, we are also aware that it is out of balance; high levels of bacteria and nitrogen have closed portions to shellfishing and recreational swimming. Native plants and animals are struggling to maintain their place in the ecosystem. Not to mention the trash that finds it's way onto our beaches. That’s why St. John's and our partners are teaming up with Ocean Conservancy, and their International Coastal Cleanup, to help keep our harbor clean and we'd love you to join us! Gather at 9am at the doors to the church to get your garbage bags, gloves, and forms to use on the cleanup. You can fill your water bottles and learn how to use the Ocean Conservancy app. From there head to your favorite Cold Spring Harbor Beach. Download Clean Swell onto your smart phone, which will allow you to add to years of citizen science marine debris data that gives insight into other ways to tackle the enormous and growing problem of marine debris. 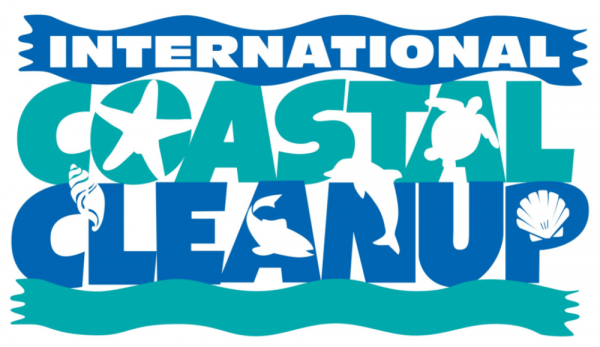 Click here to learn more about the International Coastal Cleanup. Hope to see you there! Please join us and help keep Cold Spring Harbor = Clean, Safe, Healthy!